It has become a fashion these days to claim that one has a boyfriend even when there is none. When I was 13, I was trying to find cheat codes to clear levels in Prince of Persia computer game; but today 13 year old girls are attempting suicides because of not having a boyfriend. 20 years ago, a teenage girl would be scared to say that she has a boyfriend; but today it has become a fashion statement for young teenagers to claim that they have a bae. When ever someone uses the term "bae", I could only imagine a goat mooing. 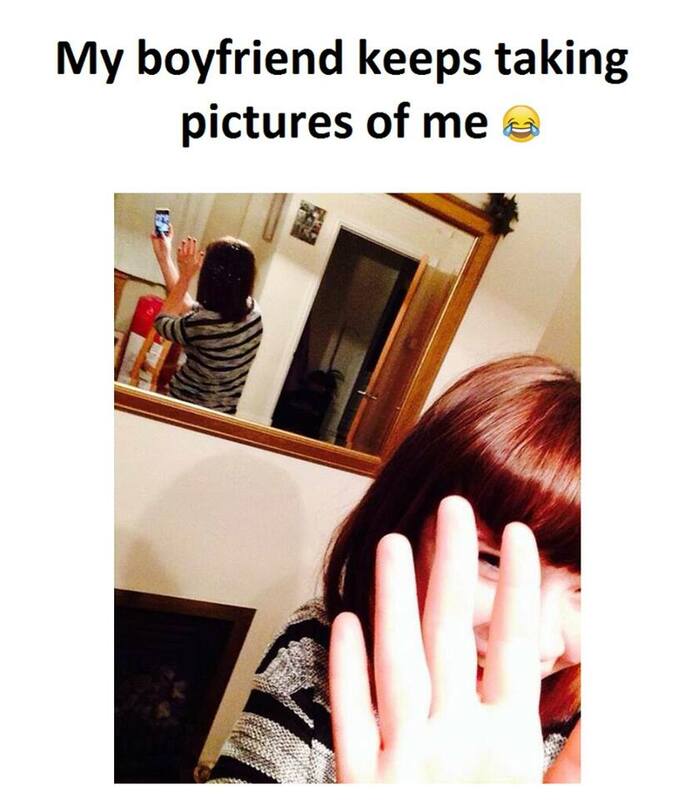 At times girls or boys take this extreme measure (see picture) to claim that they have a boyfriend. What amuses me is that to be accepted in their circle of friends, they go to this extent to create an artificial image for themselves. I know a friend Sheela (Name changed) who created a fake ID on Facebook with a Handsome guy's profile picture and started addressing him as her boyfriend. That fake ID will show extreme levels of PDA on FB for Sheela and Sheela would be blushing in public. She was doing all this, thinking that her girlfriends would get jealous of her for having a handsome boyfriend. But she was caught soon when she started flirting with a real handsome guy from her fake ID instead of her original ID. When people can fake an entire relationship and still get away with it, I don't mind these people faking to create an impression that they are in one.